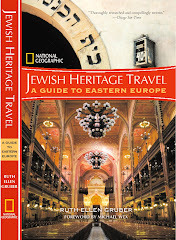 Jewish Heritage Travel: Hungary to Poland trip -- Lutowiska! One of my aims in the southeastern corner of Poland was to explore some Jewish heritage sites for the first time -- as well as revisit some that I had been to previously to update my information on their status and condition. One of the first-time places was the hamlet of Lutowiska -- way down in the triangular southeastern tip of the country that pokes between Ukraine and Slovakia, very close to the Ukrainian border. Pretty far, far away..... When borders were different, though, tt was once a major trading center, with a large Jewish population. According to a Yizkor book entry on Lutowiska, Jews were the majority population from the late 19th century. The name Lutowiska comes from the Russian word „letowyshche” designating a place where cattle and sheep were grazed in summer. The village was set up in the 16th century according o the Wallachian law in estates that then belonged to the Stadnicki family. The village was first referred to in 1580. The village was located on the intersection of busy trade routes from Sanok to the Tucholska Pass and further to Transylvania and from Przemyśl through the Beskid Mountains or Użock Pass to Użhorod. There was also a local route to the East through Turka to Drohobycz. Such a place encouraged the location of a town. Thanks to the efforts of Ludwik Urbański Lutowiska was granted a charter at the beginningof the 18th century. In 1742 King August III granted the town a privilege to hold ten big fairs a year (by comparison Sanok and Lesko only held two big fairs a year). In the 19th century the big fairs in Lutowiska were famous throughout Europe. People chiefly traded in oxen that were grazed on high-elevation meadows (poloninas). They were grey, long-horned cattle called Hungarian, willingly bought even by merchants from Western Europe. During thebig fair the whole Lutowiska was packed with cattle, a few thousand animals were here at a time. Lutowiska’s centra consisted then of two adjoining market places surrounded by wooden houses, which mainly belonged to Jews, a majority of the town’s population. Lutowiska lost the status of town in 1919, though it remained the region’s significant trade and administrative centre until the Second World War. The census of 1921 discovered 261 houses inhabited by 2125 people. In 1939 the settlement already had about 3500 inhabitants. In June 1942 Gestapo officers from Ustrzyki Dolne shot ca. 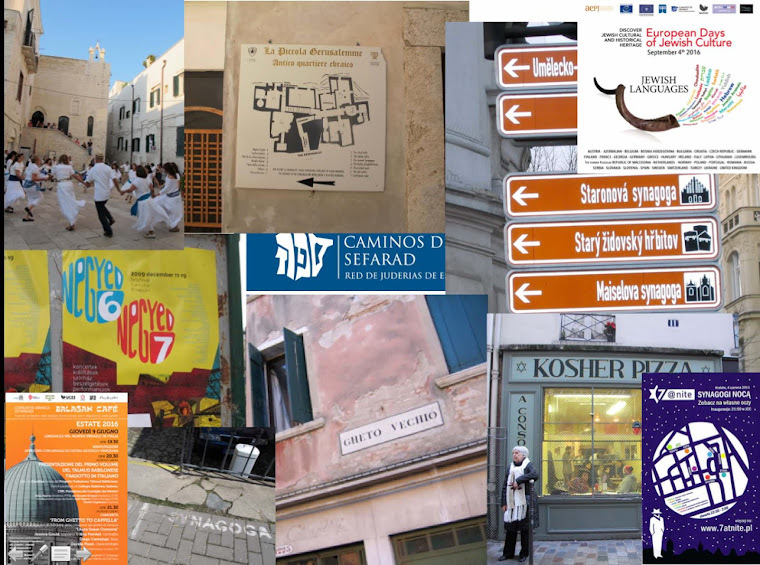 650 local Jews. They also burnt the synagogue and Jewish houses, practically all the wooden buildings in Lutowiska. Between 1945 and 1951 Lutowiska was within the Soviet borders, the name was changed to Shevchenko. At the end of 1951 a mere 28 families lived there. Resettlers from the Sokal and Hrubieszów regions mainly moved to the deserted houses. The village only reverted to its original name after a few years. In 1951 Lutowiska became home to communal authorities. I had been told that there was a Jewish cemetery here, but that it was outside the village; I would have to ask, I was told, but people would know. In fact, there is a beautiful, and beautifully maintained, Jewish cemetery here, as well as the ruins of the synagogue -- and I was delighted to find that local authorities have included both in a well organized touristic/educational route in and around the town that focuses on the three cultures that before WW2 coexisted here -- Jews, Poles and Ukrainians. The itinerary is aimed at bringing back awareness of destroyed local history (Holocaust as well as post-war expulsions and population and border shifts) and also highlight the landscape and environment. The cemetery is on a hill behind the town's big school, immersed in lovely rolling landscape -- I found it by asking at the local tourism office, where an English-speaking young man gave me explicit directions as well as a brochure and map for the Three Cultures route. I walked there, following three back-packing girls who also headed that way to visit the site. The cemetery is enclosed by a rustic fence, and the weeds and grass are cut. There are some dozens of gravestones, some with fairly elaborate carving; many tilted, some eroded -- I was able to document a lot of women's tombstones, for my (Candle)sticks on Stones project, showing a variety of carved versions of candlesticks. Some of the carvings were very reminiscent of the carving style in Busk and other places across the border in what is today Ukraine.